Free Appliance Repair Service for Washing Machines, Dishwashers, Clothes Dryers, Refrigerators, Freezers, Ovens, Stoves and all other appliances. Ask your Appliance Repair Question that you need assistance with and a professional appliance technician will help you to troubleshoot your broken appliance for FREE! Do It Yourself Appliance Repair – DIY – Save money by fixing it yourself instead of calling a repairman! Get expert advice on what may be causing the problem with your appliance! We specialize in troubleshooting GE, LG, Maytag, Whirlpool, Frigidaire, Bosch, Amana, Samsung, Hotpoint, Viking, Kenmore, Jenn-Air, KitchenAid, Electrolux, Miele, Asko, Wolf, Sub-Zero, Fisher & Paykel, Tappan, and many more appliance brands. NOTE: When explaining your appliance question below, please give as much detail as possible including model number of the appliance you need assistance with. You can also answer other people’s Appliance repair questions and help build up our Appliance Repair database to assist others. Step 1 – Title Box = TYPE IN THE FULL SUBJECT OF YOUR APPLIANCE ISSUE or PROBLEM. Step 2 – Tell us your DETAILED question in the box. Write a paragraph summing up your appliance problem. Step 3 – Choose your most specific APPLIANCE category. Step 4 – Enter your email. We don’t use your email for any purpose but to notify you of your answer. Step 5 – Add the numbers together and enter them into the box so we know you are HUMAN. Step 6 – Click the “SUBMIT” button and your question will be sent to us immediately. WHAT HAPPENS AFTER I SUBMIT MY QUESTION? Your question will be held for approval so it can be checked over by an appliance repair technician. Once your appliance question is approved, it will be answered by an expert to assist you to DIY. An email will be sent to the email you provided with an answer to your appliance question. Once you have read the answer, you can reply back to the answer if you need more assistance. We can assist you with any type of dishwasher, washing machine, refrigerator, or clothes dryer repair. Our DIY appliance repair question and answer website service will allow you to diagnose and fix your home appliances yourself. This will save you money and allow you to learn how your appliances work so you can repair them easily in the future. 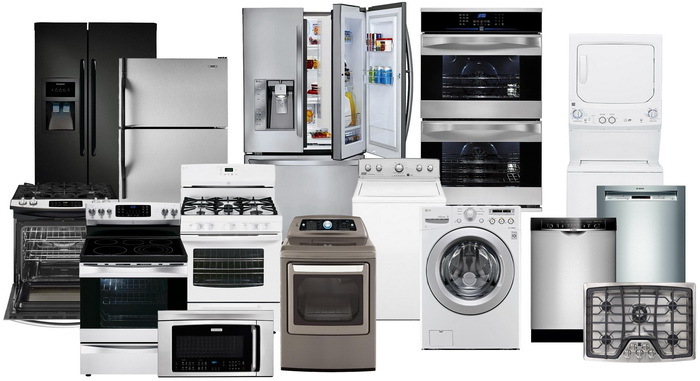 Appliance Repair for Washing Machines, Dishwashers, Clothes Dryers, Refrigerators, Freezers, Ovens & Stoves. Ask any Appliance Repair question you need help with and someone will assist you with your problem FREE! Do It Yourself DIY and save money instead of calling a repairman! Asking an Appliance Repair Question is super easy! Just choose your category, type a few keywords, then ask your question! It’s that easy! Once your appliance question is on our website, an expert will write back with professional assistance and knowledgeable advice for your Appliance Repair Answer! We give you 24/7 help to assist you in repairing your broken home appliance! FREE PROBLEM SPECIFIC HELP FOR YOUR EXACT APPLIANCE REPAIR! To help you find service manuals for your appliance, here are links to Whirlpool, Samsung, Roper, LG, GE, Maytag, Frigidaire, Kenmore, Hotpoint, JennAire, KitchenAid, and Amana. Need more detailed assistance with troubleshooting your broken Washing Machine, Dishwasher, Clothes Dryer, Refrigerator, Freezer, Oven, or Stove? Check out RemoveandReplace.com and find more specific questions and answers to fix your appliance.